Below you will find Top DAV Schools in Telangana 2019, List of Best DAV Public Schools in Telangana. Established in July, 1985, Brahm Prakash DAV School is a progressive co-educational English Medium school affiliated to the Central Board of Secondary Education, New Delhi. 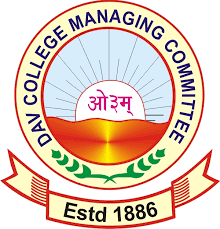 DAV Kukatpally is managed by the DAV College Managing Committee and is affiliated with Central Board of Secondary Education, New Delhi. Matrusri DAV Public School, started in the year 2010 is a branch of the DAV group directly managed by DAV College Managing Committee, New Delhi. PB DAV Model School, Hyderabad was came into existence in the year 2003 with a strength of 55 students and has now blossomed into a beautiful icon of learning focusing on the holistic development of the children who will be the responsible and better citizens of tomorrow. Founded in the year 1983, DAV Public School, Safilguda is managed by D.
DAV Public School, Banjara Hills, Telangana was started in the year 1988 and is run by D.
Brahm Praksh DAV Public School, Midhani Township is a co-educational day school founded in the year 1985.